Hows the form?… Missed a few days earlier in the week with a blast of man-flu.. It’s been a while since i’ve been unable to work… Was a bit croaked for a few days.. Coming back slowly but surely.. I’m sure ye love hearing about my man-flu.. This one way forum (must sort it, the forum that is) allows for no interruptions or back chat.. Ah bliss… In todays world anyway so i’m glad ye got to hear of the worst man-flu ever.. 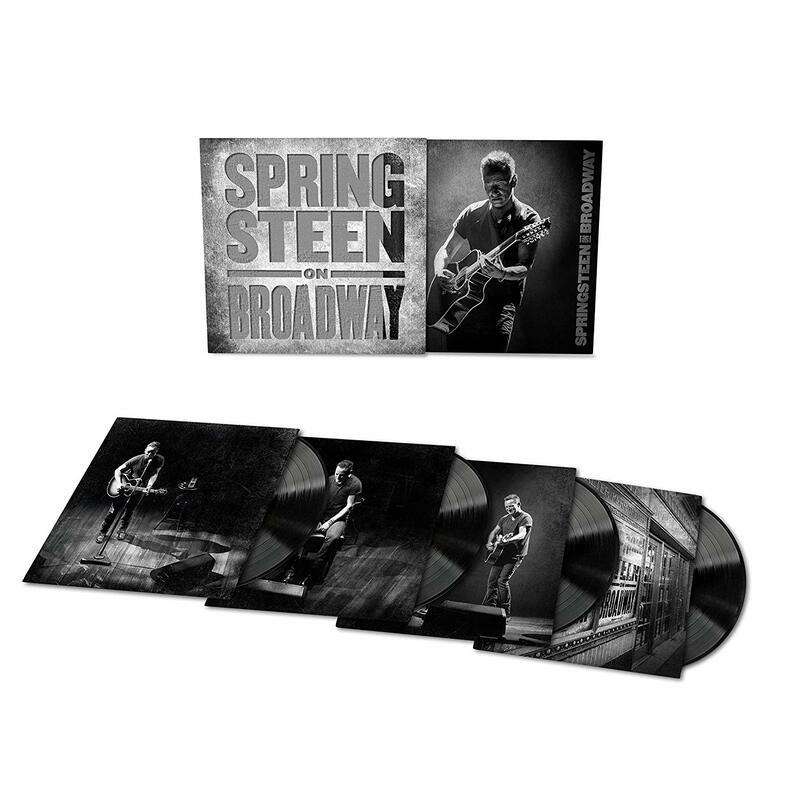 Anyway now that that is nearly off my chest, releases in the good siopa Musiczone.ie today include the aforementioned (numerous aforementioned at this stage) SPRINGSTEEN ON BROADWAY 4LP vinyl set.. 70 Bucks still in place.. Just nod!.. Also new albums by VANGELIS, DANDY WARHOLS, STEVE HACKETT, BRING ME THE HORIZON, BACKSTREET BOYS, RUDIMENTAL, BALTHAZAR, WALER TROUT and NIGHTMARES ON WAX. Video up here for this week if ye’d like a look! 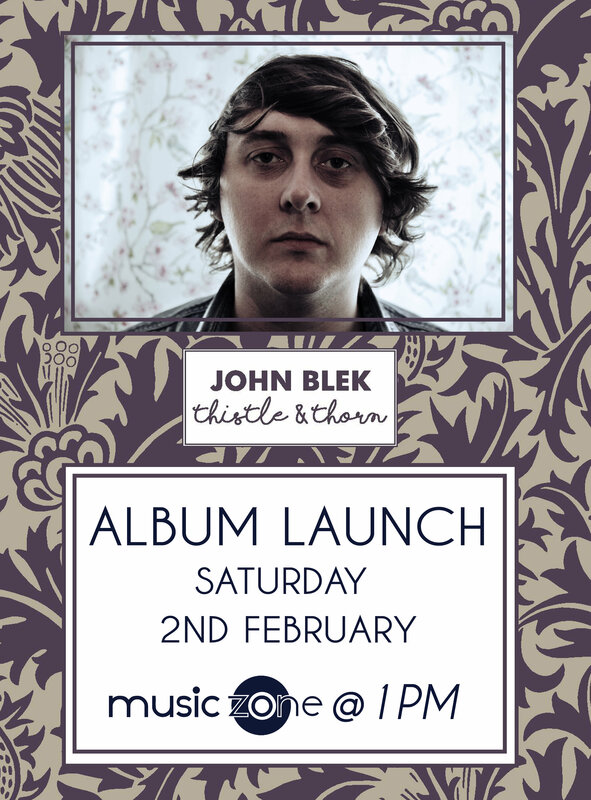 Right so, without further adieu, we shall move onto releases for the 1st of Feb.. Our most exciting release the 1st of February is JOHN BLEK’s new album “Thistle & Thorn”.. As said last week, it is a great, rewarding listen.. Lovely space in it.. Excellent work again in our opinion.. We are agreed (not always the case!!). Signed LPs up for grabs at €20 or signed CDs for €15. Nod our way.. We’d be delighted to sort.. John will be in-store on the 2nd of February at 1PM.. Our Saturday sessions return. Bring the parents, bring the kids, bring the neighbours!!.. Try it!!.. Anyway, anyway.. The new RUSTIN MAN album could be worth a sus. Out as well as this is the new release from EX:RE.. Elena Tonra who is the vocalist, lyricist and guitarist of DAUGHTER.. Solo record out..
Universal for the 1st of February have the new IAN BROWN solo album called ‘Ripples’ on indies only white vinyl.. His sons are involved musically on the album.. Catch tune the lead single in fairness.. You know as i’ve mentioned it before, met Brown a few times.. Fave one was outside at the Fountain in town at about 3 in the morning after a solo gig in Henrys in 97 I reckon, maybe 98.. He unashamedly, completely unashamedly tried to pinch my mates missus to go back to his hotel.. You chose well Viv, Sully has aged well!!! Sony for the 1st of Feb have PADDY MCALOON’s, or now credited to PREFAB SPROUT for this 2019 reissue of “I Trawl the Megahertz” where McAloon uses radio clips and various other sounds to make the record.. I know the first three Sprouts records well but don’t know this.. Looking forward to it.. Very different I believe but still looking forward.. Talk of a brand new album this year??? Bueller… Bueller.. Proper for the 1st of Feb have the 70th Birthday Party Concert of ANDY IRVINE at Vicar Street Available on CD or LP. The Orchard for the 1st of Feb have new albums by NINA NESBITT and also THE NEIL MORSE BAND..
Warner for the 1st of Feb have limited runs of the two excellent BUFFALO SPRINGFIELD albums in Mono.. Only 5K of each in the world being pressed.. Now that should help the yacht fund a little bit.. RAMONE’S “Road To Ruin” 140gm Blue Vinyl only 6K in the world..
Warner also have LINAD RONSTADT‘s ‘Live in Hollywood’ release, PHIL COLLIN‘s reissues “Serious Hits…”, “Live and Remastered” on CD or 2LP, as well as “A Hot Night In Paris”.. Thanks again to everyone who voted in our albums of the year.. As promised here are a few blurbs on the albums that charted, and we’ll start with my own..
Late in year release but a lovely listen.. Hardly a day passes when I don’t play it.. Lovely melodies, easy on the ear record.. I’m sure i’ll still enjoy it in 3 or 5 years tome..
A beautiful listen.. Late night, thought provoking, deeply layered listen.. I love it, simple as for me.. Each to our own folks!! Indie Rock, some class tunes on this one.. I see it won the top spot.. Jingle Jangly guitars and definitely a couple of the tunes of the year on it.. It’s the Aussie’s debut record..
Conor’s best outing yet in my opinion.. Fine fine listen..
Late to it also, and a right mix mash of genres and sounds that probably shouldn’t work but repeat listening does reward.. But heh, that’s just my opinion.. That’s what’s great about it.. Each to our own!! And here’s a couple of words from some of yourselves and what ye thought of some of last year’s finest listens!! 2. Richard Swift – The Hex. What a mix of styles. This guy can get away with anything. This album definitely has the makings of an all-time classic. It is very sad that he is no longer with us. Give it a few spins and you will be hooked. 3. Richard Thompson – 13 Rivers. RT will be 70 next year and he is still producing the goods. While he is definitely one of the guitar greats, he is also much more than that: the songwriting is superb throughout. 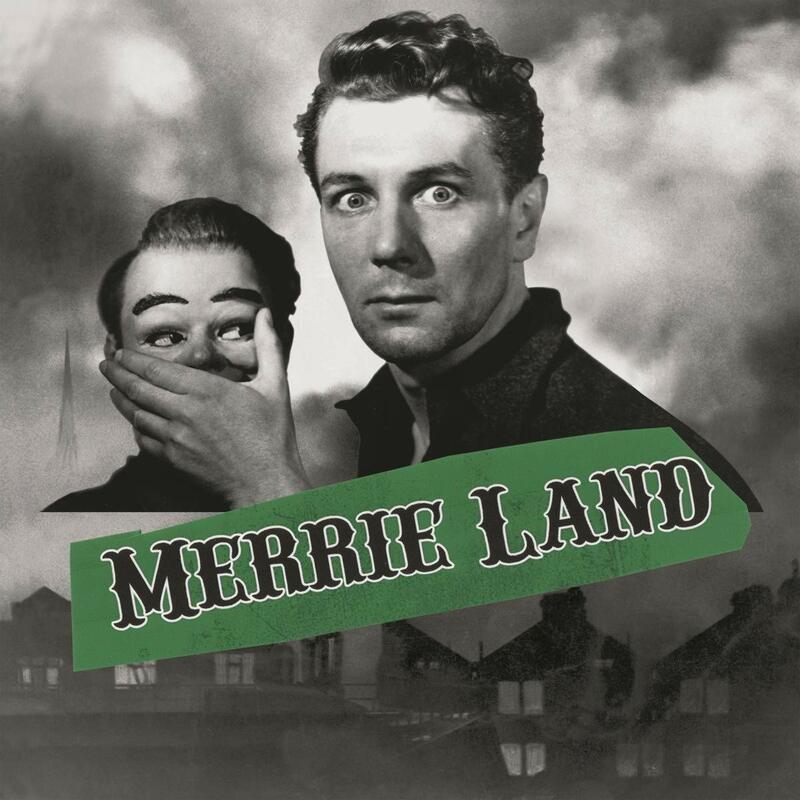 If this album was produced by a young fella it would win the Mercury Prize. 4. Suede – The Blue Hour. This is one that you need to listen to from start to finish. It really hangs together and builds like a movie. Consistently good throughout; perhaps surprisingly so. 5. John Grant – Love is Magic. Not nearly as consistent as his first 2 albums (which were complete masterpieces) but the high-points of album #4 are great and they help you to support some of the moments which are just bizarre. If you can get to see him in the Cork Opera House in 2019 don’t miss the gig!!! This is by far my album of the year! Absolute magic album…There’s a line in the track ‘One Trick Ponies’ that says ‘…I’ve always had a soft spot for repetition‘ and that sums up the album for me. Listening to this is like a hug from someone you’ve known years….it”s unmistakably Kurt Vile. And all the better for it. But in saying that he adds more layers, experimental ideas and unique rhythms. Tracks like ‘Bottle It In’ and ‘Bassackwards’, 10 min odysseys that on the 1st listen sound like the same idea repeated over and over but after a few listens (like all good albums) grow into magic epic tracks. Hands down a classic album! 2018…album of the year! There you have it. Came across these guys by accident….a ‘recommended’ band from the google box. Had a listen and was blown away by the album. A mix of midlake/Kevin morby type of folk rock group but really good melodies. The track ‘Lost in a Dream’ could have come straight out of the Thom Yorkes piano book. A great album. Now this is a strange album…the whole album is 19mins long in total!! 19 mins!! It’s over before you know what’s going on but it’s class. 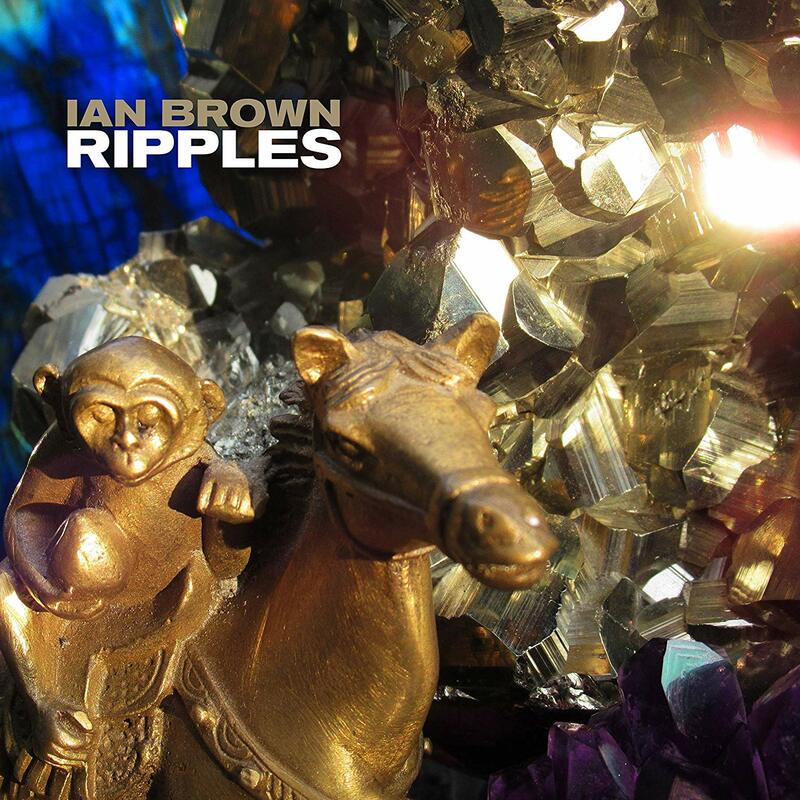 It’s electro-synth pop music with quick snappy upbeat songs that get to the point. Well worth a listen. Baxter has that english sarcastic drowl speaking/singing voice and the Delilah has this lovely melodic voice which works. A very odd album but if you have 19 mins and feel like synthesisers…this is your album. Class!! The main man himself…Mr. E. A legend….a mighty legend. In 4 years he had got married, had a baby and got divorced…..in 4 years!! And what came out of all that was this album. The (apply named) ‘The Deconstruction’. Knowing what he’s been through adds another layer to this album. It’s classic EELS but that’s always a welcome. Just listen to the opening track ‘The Deconstruction’ and tell me he’s not a genius!?! A mellow folk album from one of the Bon Iver boys. I picked this up (from music zone of course) about a week before the mega snow hit us in Feb/March. So as we were all government mandated to stay at home, myself, my wife and daughter hibernated at home listening to this album. A lovely, melodic album with some great songs. It will always remind me of the snow! S. Carey has a great voice..(if you’re into the high/melodic voice stuff ) and great melodies. A fine album. Sin é for this week folks.